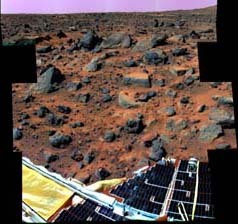 Images from the "Super Pan"
In the third week of the mission, the higher-than expected data rates allowed scientists to begin a new panorama, the "Super Pan." Before the end of the mission, the panorama was 83% complete. The image quality is very high due to the low compression rate. 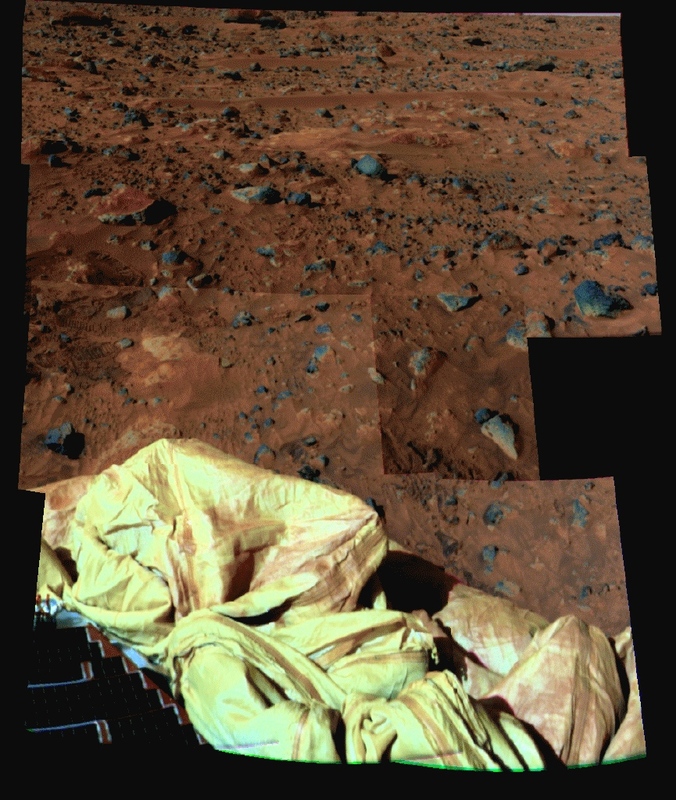 Each frame was imaged using fifteen filters -- providing enough data for excellent stereo and color images, with lots of geological information. These are all thumbnails -- click on individual images for the full versions. The latest images released from the Super Pan data were created by Dr. Timothy Parker of JPL. They are sharper than previous images because the information from six different versions (each taken with a different filter) is combined. 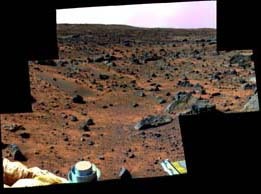 View to the south/southeast of the lander -- the slope in the center is "Big Crater," which is actually a fairly small crater in Martian terms, but the largest crater in the vicinity of the lander. It is about the size of Meteor Crater in Arizona. To the right of "Big Crater" is "Far Knob," barely visible in this thumbnail. Click on the image to see a larger version. 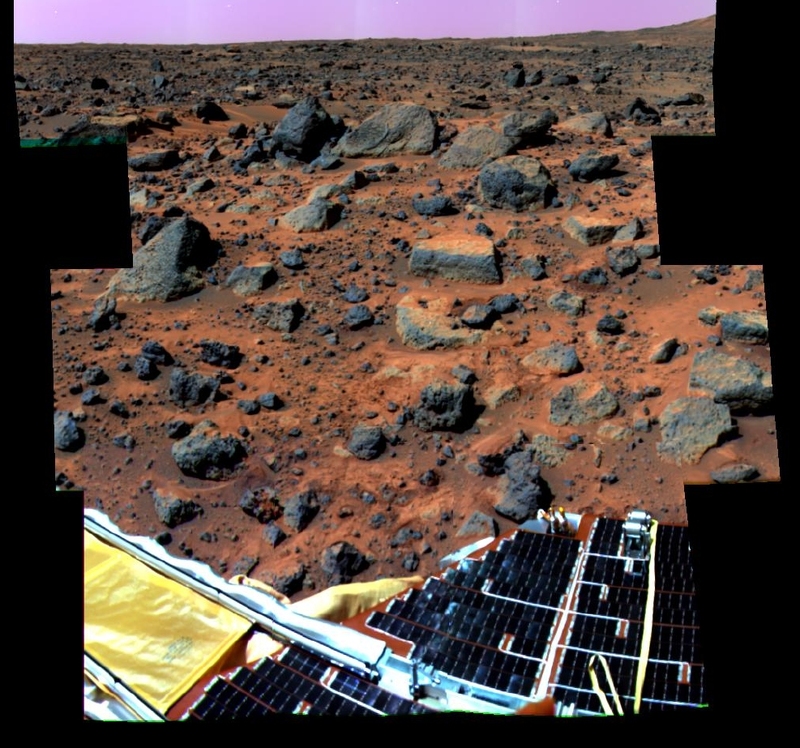 View to the northeast of the lander -- the large rock is Zaphod. 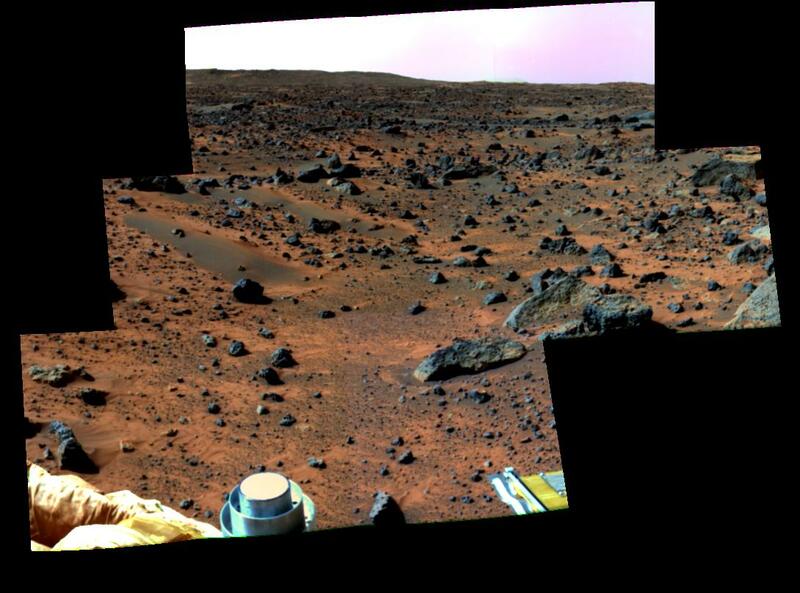 View to the southwest of the lander -- the Twin Peaks. Below: anaglyph (3D) version of Twin Peaks. To see anaglyphs of the other Tim Parker images go to the stereo images page. 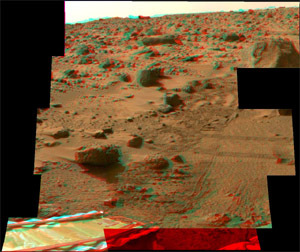 To view these images in 3D requires red/blue glasses. 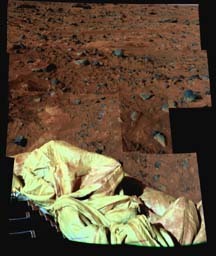 This is a color stereo image created with sol 18 data. To get the "3D" effect, use red/blue glasses. 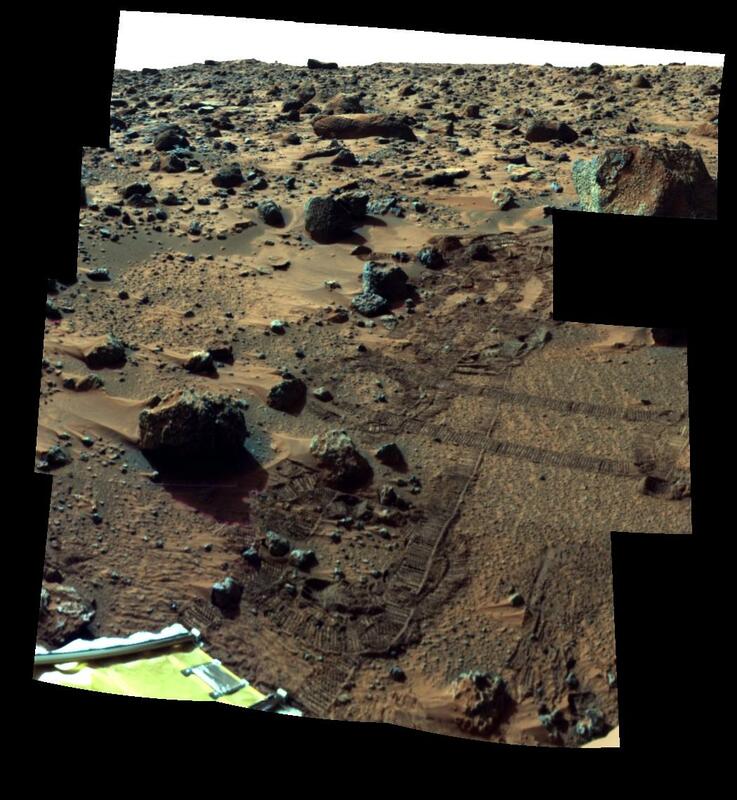 This sol 18 image has slightly enhanced color.